Blush Ely will be exhibiting for the first time at the prestigious Newmarket wedding show, a leading show in the area, covering ideas for all aspects of your day. Find us on Stand F18, on the second floor of the Rowley Mile stadium. Please call by and see us and for the first 25 lucky ladies to book an appointment with us on the day we will be offering a £100 dress discount voucher and your own little Blush bubbles. We look forward to seeing you on the 20th January. 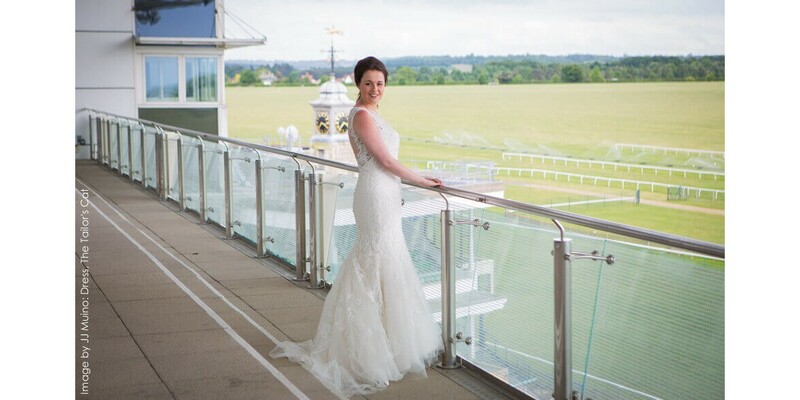 The Newmarket Wedding Show is set in the prestigious Millennium Grandstand building at Rowley Mile Racecourse, Newmarket. The Rowley Mile Centre is a unique and historic setting for the event. Set on the Suffolk/Cambridgeshire border in the heart of East Anglia and bringing together suppliers from around the local area. The show is totally free to attend and runs from 11am till 4.00pm and will feature over 110 exhibitors over 2 floors inside the building as well as outdoor displays. The building is wheelchair and buggie friendly with lifts to all floors. Where is Newmarket? Set on the Suffolk / Cambridgeshire borders, on the outskirts of the town centre and surrounded by training gallops and heath land, the Rowley Mile Racecourse and July Racecourse are just 12 miles from Cambridge and 60 miles from London.